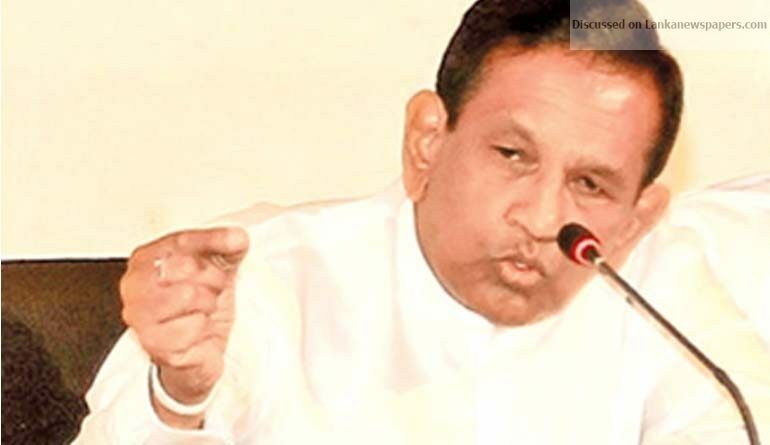 The government has no intention of extending the term of office of the Northern Provincial Council or that of any other PC on the say so of a politician, Cabinet spokesman and Minister, Rajitha Senaratne said. He said most probably elections to the six provincial councils would be held under the preferential voting system in October this year. Commenting on NPC Chief Minister C.V. Wigneswaran’s request to President Maithripala Sirisena to extend the term of office of the NPC with Mr. Wigneswaran as CM, the minister said the government had no intention of postponing the elections. “The government had no option but to allow the North-Central, Sabaragamuwa and Eastern Provincial Councils to be administered by the Governors of respective provinces after their term of office expired last year because Parliament had not approved the delimitation report as required by the new electoral law. But the government will hold the elections to all six PCs together after the term of office of the Central, North-Western and Northern Provincial Councils expires in October,” the minister said. “The government does not want to rule the country according to the wishes of individuals. If the party leaders failed to arrive at a compromise and approve the delimitation report, then elections will be held in October under the PR system,” he said. With the enactment of the Provincial Council Elections (Amendment) Act No. 17 of 2017, a new mixed voting system was introduced for provincial councils, where 50 per cent of the representatives would be elected by a simple majority system and another 50% would be selected according to the district level proportional representation method (the additional list). A number of party leaders are not agreement with these amendments. However, if the PC polls are to be held under the old system, we must go back to Parliament and get the approval to hold PC polls under the old system with a two-thirds majority but it is quite obvious that it is not possible under the current political situation in the country, he stressed.